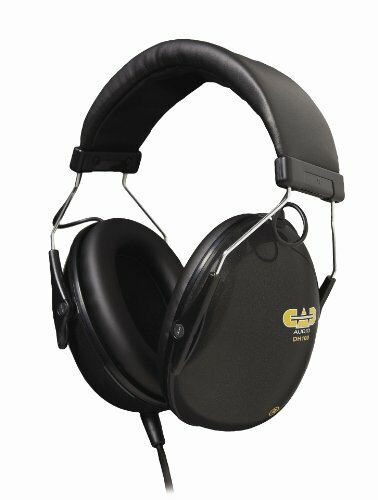 What Defines the Best Over-Ear Headphones for Drummers? The first and most important aspect of a drumming headphone is its ability to protect the ears of the user. Any sound above 90 decibels has the potential to permanently damage your ears if you are exposed long enough to it. Being right next to the drums, the drummer is regularly exposed to anywhere between 102 to 125 decibels depending on the specific instrument. A particularly enthusiastic roll on the snares can spike all the way up to 130 decibels. Now imagine yourself as a drummer, professional or otherwise, who are regularly exposed to this level of sound. It will be all too easy to see why ear protection is so important. However, you as the drummer need to be in touch with the other instruments in your band. You still need to hear what’s going on, which is why earplugs often don’t come into play. This is where drumming headphones come into the picture. 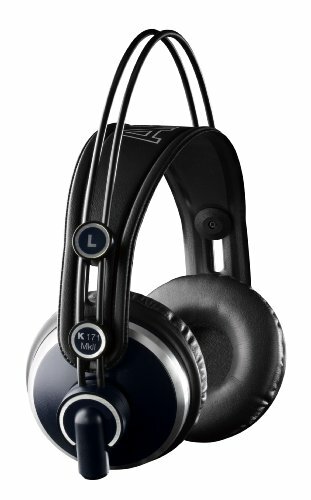 Take for example the CAD Audio DH1000 Headphones. 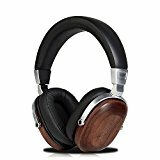 These relatively inexpensive set of headphones are excellent at cutting down the intensity of sounds. 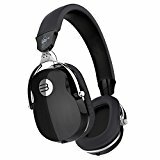 This particular headset reduces ambient noise by up to 19 decibels, which goes a long way toward preventing your eardrums from rupturing. 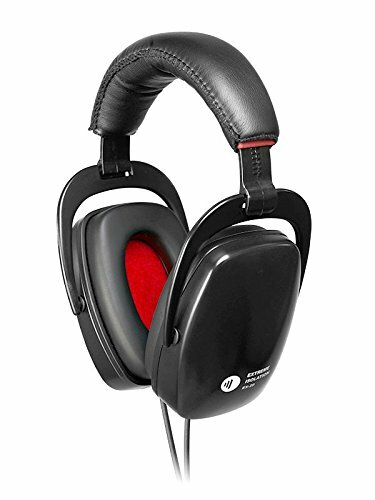 If a regular drumming session produces 102 to 125 decibels, wearing drummer headphones like these—even without playing music on them—cuts down that noise to a more manageable range of 83 to 106 decibels. That range will do wonders in helping reduce or even prevent long-term hearing loss. Drumming will expose you to high peaks of noise, which is why passive—not active—noise isolation is a must. Simply put, passive noise isolation is all about physically blocking outside noise from getting into your ears. The materials in the earcup block a significant portion of the soundwaves and minimize their impact on your eardrum. Active noise isolation, on the other hand, is all about creating sound waves that cancel out other soundwaves. This technology takes in external noise and reverses their soundwaves. These reversed soundwaves cancel out the original soundwaves, thereby helping negate external noise. The problem with active noise isolation is that it does not adapt quickly enough to deal with sharp, sudden bursts of noise. These sharp spikes are exactly what drummers need the most protection against, like when they slam their sticks down on the snare or pound the pedal on the bass. This is why virtually all headphones for drummers utilize passive noise isolation technology. Models like the AKG Pro Audio K171 rely on a tight seal on the ears as well as the sound-resistant properties of its materials to get the job done. The closed-back design ensures that the material of the earcup helps block out the sound. These passive measures reliably mitigate the intensity of all sounds, an especially useful defense against sharp spikes in volume. Clarity is what you want with headphones for drummers, not warmth or impact. 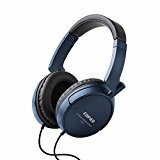 Some headphones artificially increase the loudness of certain notes, especially the bass. The resulting sound is deeper, warmer, and more dynamic that’s good for casual listening. However, this artificial loudness often overpowers subtler notes. This is not what you want when playing live or recording within a studio. You will end up missing some interplays between softer notes, which will pop up later on. This is especially true for high-quality lossless recordings, which preserve more notes than the average compressed audio file. Drummers will also want to accurately gauge the way their beats sync with other instruments. Every tune, every interaction between individual notes, needs to be clearly perceived. 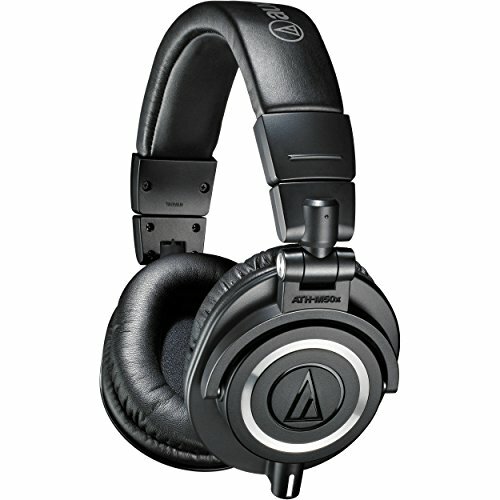 This is why drumming or monitor headphones like the Audio Technica ATH M50x focus on clarity. The extended frequency range accurately paints notes that would be muffled out in other headphones. Long story short, go for clarity—not impact—when working with headphones for drummers. Drummers move their heads around a lot, which is why fit is another important factor with headphones for drummers. This is because drummers are as many performers as instrumentalists. The simple motion of bobbing one’s head along with the rhythm goes a long way in bolstering stage presence. If the headphones are too loose, they go flying off. At the very least, they will gradually slip down until they need to be adjusted again. If the headphones are too tight, they’ll restrict blood flow around the jaw, ear, and crown of the head. That, and they’ll be painfully uncomfortable as well. If your ears physically touch the earcups, expect pain the first thirty to sixty minutes of use. This is especially true for closed-back, over-ear headphones. Take for example the Roland RH-300V. The generous earcups allow most ears to fit in without touching the ears themselves. That’s a big point for drumming headphones. The headband comes with extra cushioning underneath it, which gives two advantages. First, the cushions help reduce the headphone’s weight on the crown on the head. Second, the adjustable length of the headband allows you to find the right pressure to work with. Tight enough to get a good grip, loose enough to maintain proper blood flow. All these may sound typical for every headphone out there, but their importance is doubled when you consider other factors. The physical exertions of drummers mean a lot of movement—and a lot of sweat. The headphones need to be as snug and as comfortable as possible, even when sweat starts slicking up its grip. Drumming headphones need to be tough enough to withstand both sweat and impact damage. Remember what we said about drummers moving around a lot? That range of motion means that you will most likely be sweating during prolonged sessions. This, in turn, means that more oils and dead skin cells will find their way into the components of the headphone. Expect the earcups and headband to absorb a lot of that gunk in the long run. Cheaper materials will degrade faster when exposed to these oils, like how cheap leatherette tends to crack and peel off. Then there is the risk of actually dropping and damaging the headphones themselves. The drummer’s dynamic range of motions increases the chances of your headphones sliding down. Finding the right fit will often solve that problem, but it’s still a risk you have to face. Again, cheap plastics will crack at the slightest bump. Headphones made of sturdier plastic and/or metal components are a different story. This is why headphones like the Beyerdynamic DT 770 M 80 sport durable materials and robust craftsmanship. Aside from delivering good audio, they’re also designed to deal with the stresses that drummers impose upon their hardware. The tougher materials better resist the damage from sweat. They also stand a better chance of surviving the occasional drop, though this course of action is still advised against. 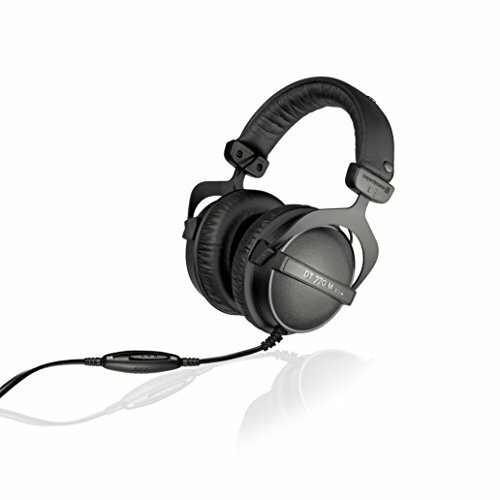 You may also like to read Beyerdynamic DT 770 Pro review. And last but definitely not the least, easily packing up their headphones can be very convenient for drummers. Not all instrumentalists have the option of leaving their headphones in the studio. Most bring their own headphones with them as they travel. Some do it for hygiene, ensuring their headphones are their own. Others do it for audio fidelity, having gotten used to the frequencies their sets work with. Still, others do it for safety, ensuring that they don’t lose their headphones when not using them. This is why most headphones for drummers come with at least two portability options. One, folding earcups, and two, detachable cables. This is the case for the Direct Sound EX-29. It sports both features even if it isn’t designed primarily with portability in mind. The folding earcups simply help save more space, making it easier to store. The detachable cables help there as well. Being able to pull out the cables means less tangling, as you can roll them up and tuck them away in a separate space. You can also pick up other headphones that come with their own cases. Some sports headcups that not only fold but can swivel as well-meaning more saved space. Whatever the case may be, try to pick drumming headphones that at least have the two aforementioned features. They make it much easier for you to move around with your headphones. Cuts down sound pressure, passively isolate sound, supplies clear notes, fits snugly, built robustly, and somewhat portable. These are the base traits that define a workable set of headphones for drummers. Other details are optional. Sharp, striking angles or classic, rounded design? Your choice. 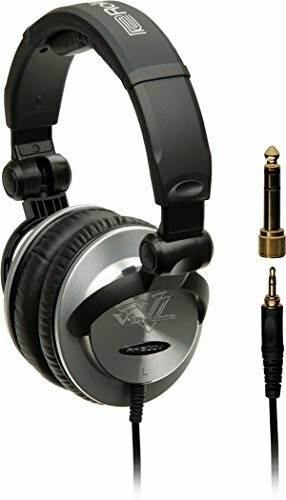 Beyerdynamic, CAD, Audio Technica, or AKG? Up to you. Cheap $50 starter set or $500 professional set? Whatever suits your budget. As long as your chosen headphones meet the aforementioned traits, then you should be good to go!